Similarly, Jehovah’s blessing of Job is recorded in the Book of Job. What did God bestow upon Job? “So the LORD blessed the latter end of Job more than his beginning: for he had fourteen thousand sheep, and six thousand camels, and a thousand yoke of oxen, and a thousand she asses” (Job 42:12). From man’s perspective, what were these things given to Job? Were they man’s assets? With these assets, would Job have been very wealthy during that age? And how did he acquire such assets? What caused his wealth? It goes without saying that it was thanks to the blessing of God that Job came to possess them. How Job viewed these assets, and how he regarded the blessings of God, is not something we’ll go into here. When it comes to the blessings of God, all people yearn, day and night, to be blessed by God, yet man has no control over how many assets he can gain during his lifetime, or whether he can receive blessings from God—and this is an indisputable fact! God has authority, and has power to bestow any assets upon man, to allow man to obtain any benediction, yet there is a principle to God’s blessings. What kind of people does God bless? The people that He likes, of course! Abraham and Job were both blessed by God, yet the blessings which they received were not the same. God blessed Abraham with descendants as numerous as the sand and the stars. When God blessed Abraham, He caused one man’s descendants, one nation, to become powerful and prosperous. In this, the authority of God ruled mankind, who breathed the breath of God among all things and living beings. Under the sovereignty of God’s authority, this mankind proliferated and existed at the speed, and within the scope, decided by God. Specifically, this nation’s viability, rate of expansion, and life expectancy were all part of God’s arrangements, and the principle of all of this was wholly based on the promise that God made to Abraham. Which is to say that, regardless of the circumstances, God’s promises would proceed without hindrance and be realized under the providence of God’s authority. In the promise that God made to Abraham, regardless of the world’s upheavals, regardless of the age, regardless of the catastrophes endured by mankind, the descendants of Abraham would not face the risk of annihilation, and their nation would not die out. God’s blessing of Job, however, made him extremely wealthy. What God gave him was an array of living, breathing creatures, the particulars of which—their number, their speed of propagation, survival rates, the amount of fat on them, and so on—were also controlled by God. 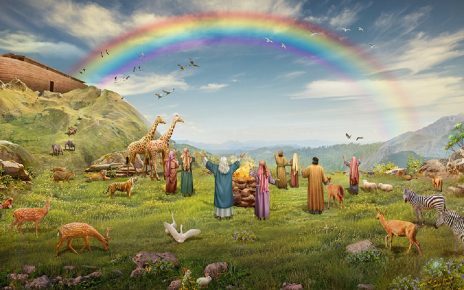 Though these living beings did not possess the ability to speak, they too were part of the Creator’s arrangements, and the principle of God’s arrangements was according to the blessing that God promised to Job. In the blessings that God gave to Abraham and Job, though what was promised was different, the authority with which the Creator ruled all things and living beings was the same. Every detail of God’s authority and power is expressed in His different promises and blessings to Abraham and Job, and once again shows mankind that the authority of God is far beyond man’s imagination. 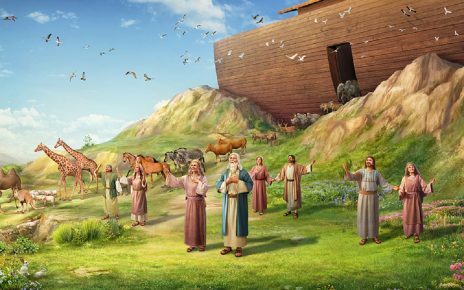 These details tell mankind once more that if he wishes to know God’s authority, then this can only be achieved through God’s words and through experiencing God’s work. God’s authority of sovereignty over all things allows man to see a fact: God’s authority is not only embodied in the words “And God said, Let there be light, and there was light, and, Let there be firmament, and there was firmament, and, Let there be land, and there was land,” but, moreover, in how He made the light continue, prevented the firmament from disappearing, and kept the land forever separate from the water, as well as in the details of how He ruled over and managed the creatures: light, firmament, and land. What else do you see in God’s blessing of mankind? Clearly, after God blessed Abraham and Job, God’s footsteps did not cease, for He had only just begun to exert His authority, and He intended to make every one of His words a reality, and to make every one of the details of which He spoke come true, and so, in the years to come, He continued doing everything that He intended. Because God has authority, perhaps it seems to man that God only speaks, and does not need to lift a finger for all things to be accomplished. To imagine thus, is, I have to say, ridiculous! If you only take the one-sided view of God’s establishment of the covenant with man using words, and of God’s accomplishment of everything using words, and you are incapable of seeing the various signs and facts that the authority of God holds dominion over the existence of all things, then your understanding of God’s authority is too hollow and ridiculous! If man imagines God to be thus, then, it must be said, man’s knowledge of God has been driven to the last ditch, and has reached a dead end, for the God that man imagines is but a machine that issues orders, and not the God who is possessed of authority. What have you seen through the examples of Abraham and Job? Have you seen the real side of God’s authority and power? After God blessed Abraham and Job, God did not stay where He was, nor did He put His messengers to work while waiting to see what the outcome would be. 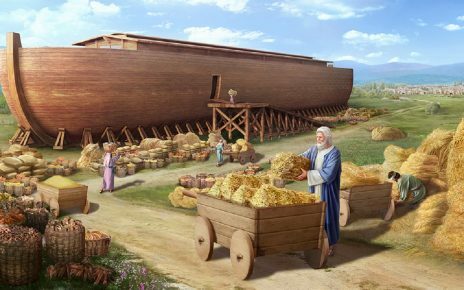 On the contrary, as soon as God uttered His words, under the guidance of God’s authority, all things began to comply with the work that God intended to do, and there were prepared the people, things, and objects that God required. Which is to say that, as soon as the words were uttered from the mouth of God, God’s authority began to be exerted across the whole land, and He set a course in order to accomplish and fulfill the promises that He made to Abraham and Job, while also making all the proper plans and preparations for all that was required for every step and each key stage He planned to carry out. During this time, God not only maneuvered His messengers, but also all things that had been created by Him. Which is to say that the scope within which God’s authority was exerted not only included the messengers, but, moreover, all things, which were maneuvered in order to comply with the work that He intended to accomplish; these were the specific manners in which the authority of God was exerted. 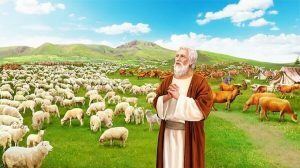 In your imaginings, some may have the following understanding of God’s authority: God has authority, and God has power, and so God need only remain in the third heaven, or need only remain in a fixed place, and need not do any particular work, and the entirety of God’s work is completed within His thoughts. Some may also believe that, although God blessed Abraham, God did not need to do anything, and it was enough for Him to merely speak His words. Is this what really happened? Clearly not! Although God is possessed of authority and power, His authority is true and real, not empty. The authenticity and reality of God’s authority and power are gradually revealed and embodied in His creation of all things, and control over all things, and in the process by which He leads and manages mankind. Every method, every perspective, and every detail of God’s sovereignty over mankind and all things, and all the work that He has accomplished, as well as His understanding of all things—they all literally prove that the authority and power of God are not empty words. His authority and power are shown forth and revealed constantly, and in all things. These manifestations and revelations speak of the real existence of God’s authority, for He is using His authority and power to continue His work, and to command all things, and to rule all things at every moment, and His power and authority cannot be replaced by the angels, or the messengers of God. God decided what blessings He would bestow upon Abraham and Job—it was up to God. Even though the messengers of God personally visited Abraham and Job, their actions were according to the commandments of God, and under the authority of God, and they were also under the sovereignty of God. Although man sees the messengers of God visit Abraham, and does not witness Jehovah God personally do anything in the records of the Bible, in fact, the only One who truly exerts power and authority is God Himself, and this brooks no doubt from any man! Although you have seen that the angels and the messengers possess great power, and have performed miracles, or they have done some things commissioned by God, their actions are merely for the sake of completing God’s commission, and are by no means a display of the authority of God—for no man or object has, or possesses, the authority of the Creator to create all things and rule all things. And so no man or object can exert or show forth the authority of the Creator.